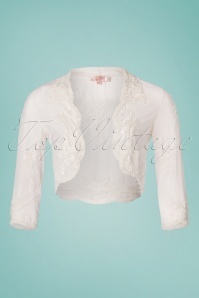 Being the centre of attention almost becomes normal when wearing this festive 20s Mary Beaded Bolero in Ivory White! 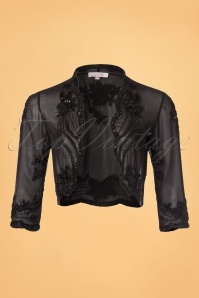 Complete your twenties party look and add some class to any sleeveless dress or top with this bolero! 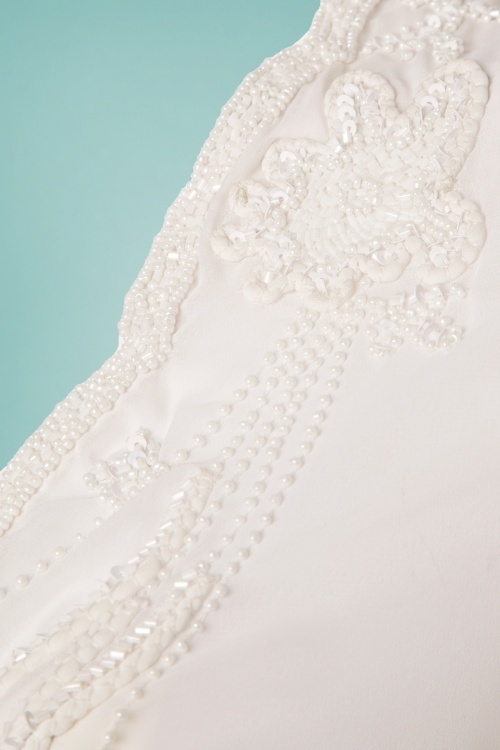 This showstopper is covered with tiny, shiny ivory white glass beads and sequins, all hand stitched, capturing the light and sparkles with every move you make, 'bedazzling'! Mary features elegant 3/4 sleeves and is finished off with scalopped trims along the sleeves and bottom. 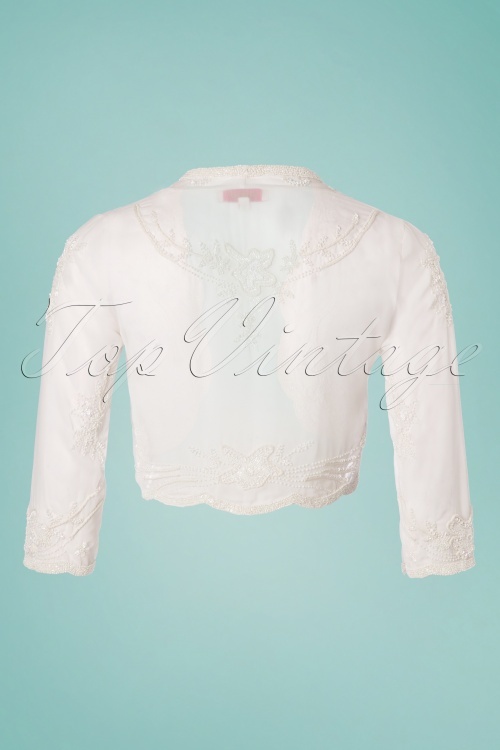 Made from an ivory white, sheer fabric covering up your upper arms in a graceful way, with no loss to your retro party outfit! Have a roaring good time and jazz it up a little!